Picking your Gatwick parking won't to be the most exciting part of planning your trip, but it’ll easily be one of the most important. From securing Gatwick Airport parking that’s right for your budget and departure times to ensuring you find a reputable operator, APH will help ensure you choose a service that’s right for you. With an unbeatable range of Gatwick parking on offer, you're sure to find the ideal service from the likes of our very own award-winning APH Gatwick Car Park – just 15-20 minutes’ transfer from the terminals – to the ultimate arrive-and-fly parking with meet and greet services provided by the likes of Ace Parking Meet & Greet and I Love Meet & Greet. Use this guide to airport parking at Gatwick Airport to find the service that meets your needs and lets you get on with enjoying your getaway. From type of parking to location and cost, use the tabs on this page to help build the perfect Gatwick Airport parking for your trip. 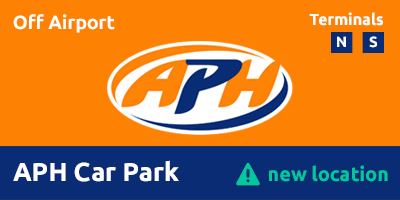 Finding the ideal fit for your Gatwick Airport parking is simple when booking through APH! With the best off-airport and meet and greet services available, travellers can pick with confidence from a full range of services. Browse below to reveal the entire choice of parking services we offer at APH. The Park Mark Safer Parking Award is a Police Crime Prevention Initiative designed to both reduce crime and the fear of crime in car parks across the UK. A Park Mark Safer Parking Award is bestowed on Gatwick parking facilities that meet or exceed the requirements of a risk assessment set by the police. Our APH Gatwick Car Park is a proud holder of this award and you can use the table, above, to ensure the airport parking at Gatwick you choose is a holder of the Park Mark Safer Parking Award. Most of the third-party car parks we work with hold the Park Mark Safer Parking Award, or are in the process of obtaining one. Along with the reassurance you’re booking airport parking through a company with almost four decades of experience, exploring what other travellers thought of the services offered is a smart way to bring peace of mind when choosing a service. Collected and published by Reevoo, the following reviews are genuine, independent responses from verified travellers who’ve actually used the services they’re rating. Take a look through the easy-to-read reviews, below, to reveal what the people who really matter think. Pick the perfect Gatwick parking for your trip from the airport's North or South Terminal and you’ll be well on the way to ensuring a smooth and stress-free departure day. From off-airport park and ride provided by the likes of APH Gatwick Car Park to meet and greet options from services such as Ace Meet & Greet, I Love Meet & Greet and our very own APH Meet & Greet Forecourt, there’s a solution for your Gatwick parking South and North Terminal. For more information on the parking available for your flight from Gatwick’s South and North Terminal, take a look through our at-a-glance guides to the North and South Terminal. Find out how to select the best option for your departure – and how to beat the meet and greet rogues with APH and the Gatwick Approved Operator Scheme. Getting the right Gatwick Airport parking is important, but we'd all rather be spending our hard-earned cash on having a great time. Fortunately, APH is committed to offering a wide choice of products to ensure you always have access to the cheapest Gatwick Airport parking. Here we look at ways to cut the price you pay further and help save even more of your cash for what it’s intended – having a great time. And don’t think cutting costs means cutting corners – we’ll never compromise security for you or your car. With the vast majority of our products holding the Park Mark Safer Parking Award, you can save cash and travel with confidence when booking through APH. Have you signed-up to our email list yet? Along with receiving notice of the best deals and sales, you’ll also enjoy an instant discount of at least 10 per cent. A great way to save money on all your parking – and keep up to date with special offers. Enter your email at the bottom of this page to start claiming your discount right now. The cost of Gatwick Airport parking is not a constant! Throughout the year prices will rise and fall as demand for space dictates. Analysing the fluctuations provides a useful tool for 'savvy travellers' looking to make big savings on what they pay for Gatwick Airport parking. If you’re sure your travel plans aren’t going to change, booking Gatwick Airport parking in advance will bring significant savings. In fact, booking through APH six months before you fly could save a staggering 60 per cent compared with making a reservation one week before departure. 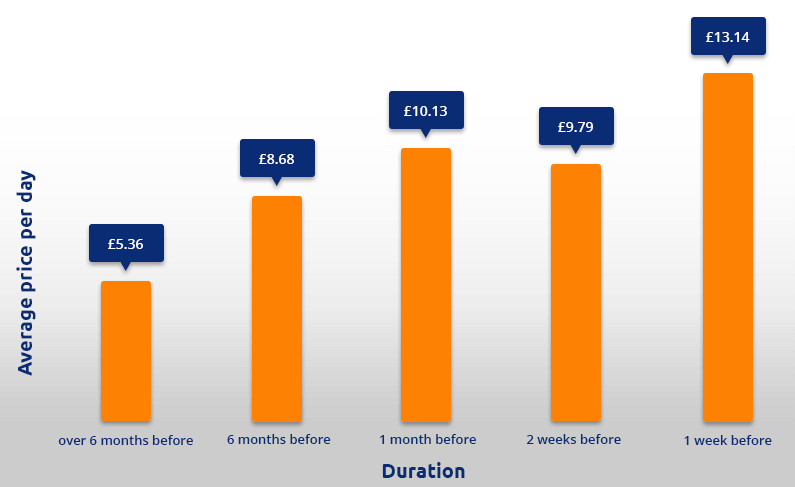 This compares with making a booking just one month before departure where savings could fall to around 23 per cent. Putting this in hard cash, booking a week’s Gatwick Airport parking six months ahead of travel could cost around £43, while making the reservation one month before might be £81 – with this jumping to around £105 in the week before departure. Take a look at this graph showing just how much the average daily price of Gatwick Airport parking can shift over a period of six months. Typically, choosing park and ride Gatwick Airport parking will offer the best deals when travelling from the North and South Terminal. You’ll need to take a short transfer ride to the airport, but your car will be looked after in a secure location with full protection including CCTV, entry and exit barriers, security fencing and 24-hour manned patrols. If you're looking for award-winning Gatwick parking that's also the best value, then look no further than our very own APH Car Park, Gatwick Airport. It's the cheapest we offer, but this Park Mark Safer Parking Award-holding car park offers premium security while you're away. Take a look at what's on offer at our flagship car park here. This car park covers both North and South Terminal departures. Take a look at the table below for a quick overview of what on-airport, off-airport and meet and greet services can offer for your parking at Gatwick – and get yourself a clearer idea if it’s the right solution for you. Take a look at the table below for a quick overview of how our parking products work, or read on for an in-depth description. Gatwick’s on-airport parking offers a combination of long-stay and short-stay products within the airport perimeter. Travellers using the short-stay option simply drive straight to the North or South Terminal and find a space in the multi-storey car parks adjacent to the check-in areas. Passengers can then unload their bags and take the short walk to the terminal. Drivers using on-airport short-stay facilities will need to find their own parking space, so won’t leave car keys. As a result of parking spaces are not being allocated when booking, additional time might be required to find a vacant bay. Here’s a simple visual guide to how the parking process works with on-airport short-stay parking services at Gatwick Airport. Official short-stay car parks are not available to purchase through parking providers such as APH, but travellers can find cost-effective alternatives through nearby off-airport services such as APH Gatwick Car Park. 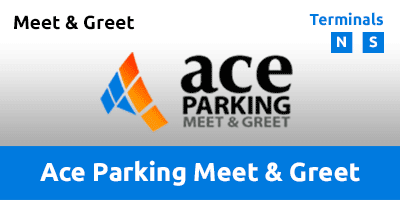 Additionally, Third-party Meet and greet services – such as Ace Parking, I Love Meet & Greet and APH Meet & Greet Forecourt – can offer a cheaper alternative to passengers who want to buy fast, affordable parking for their trip from Gatwick’s busy North and South Terminal. In fact, choosing a meet and greet provider from the Gatwick Approved Operator Scheme – such as APH Meet & Greet Forecourt – will typically cost less than official short-stay Gatwick Airport parking. Get a quote now to see just how little it’ll cost to book meet and greet parking for Gatwick Airport. Along with on-airport short-stay parking, Gatwick offers a long-stay option within the airport perimeter. However, as with other official car parks, these are currently not available to book through APH or any other third-party suppliers. This doesn’t mean there aren’t alternatives, though, with many nearby Gatwick off-airport car parks offering security-protected parking at prices that are typically much lower than on-airport counterparts. Take a look at services offered by providers including APH Gatwick Car Park. These off-airport car parks operate in a similar way to Gatwick’s on-airport Long Stay Car Park but have a slightly longer transfer time and drivers will need to leave their car keys. Using off-airport parking services like APH Gatwick Car Park is easy! Simply drive to the facility, check-in, unload your bags and jump on one of the regular transfer buses heading to the North and South Terminal at Gatwick. Transfers operate 24 hours a day and typically take no more than 20 minutes to reach the airport – and you’ll be dropped right outside the terminal doors. Once you’re safely heading to the check-in desks, a qualified driver will park your car for the duration of your trip. Sometimes, depending on seasonal demand, it’s possible your car may be parked in a security-protected overflow site. You’ll need to leave your keys when using off-airport Gatwick parking services. The following graphic shows just how simple off-airport parking really is. If you’re looking for cheap Gatwick Airport parking, then off-airport services will be the best place to start your search. Typically situated within 20 minutes’ transfer from the South or North Terminal, these products provide budget-friendly, security-protected parking solutions for your trip from Gatwick Airport – be it the North or South Terminal that you’re flying from. Providing an excellent alternative to often more expensive official long-stay car parks, off-airport parking purchased through APH offers high-security parking that air travellers can trust. Just look out for the Park Mark Safer Parking Award to show the facility has met or exceeded police-approved levels of security to provide a safe environment for both drivers and their vehicles. 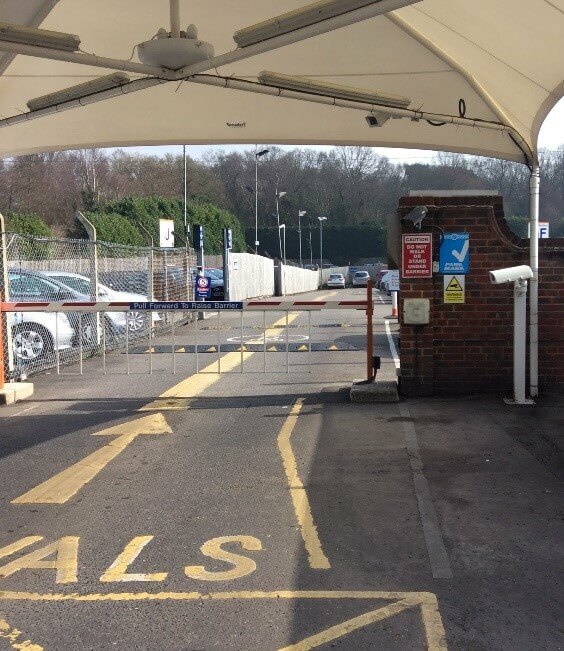 Take a look at the impressive level of protection offered by over very own award-winning APH Gatwick Car Park to see why off-airport services really do provide excellent value without compromising safety or location. Here’s an example of how pricing compares for off-airport parking and official long-stay venues. 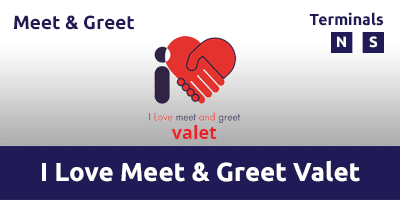 Meet and greet parking can offer a fast-track route from car to check-in desk at Gatwick Airport. Here’s how it works for those who’ve not previously enjoyed its benefits. 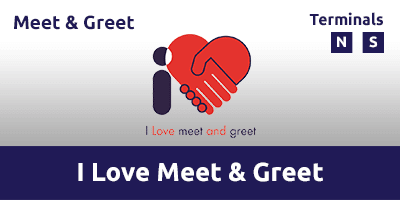 Using meet and greet is simple, with passengers heading straight to either the North or South Terminal. Once there, customers complete a little paperwork, unload their bags and head to the check-in desks. A fully insured driver will then park their car for them. This graphic gives a quick overview of how meet and greet parking works. Meet and greet parking can offer a cost-effective alternative to Gatwick’s official short stay parking options, but care must be taken when booking these services online. Without the need to meet travellers at a physical car park, meet and greet services can be exploited by rogue operators. However, it’s easy to avoid unscrupulous operators thanks to Gatwick Airport’s Approved Operators Scheme. Only legitimate services verified by Gatwick Airport are included on this list. As you’d expect, our own APH Meet & Greet Forecourt service and all other products we offer can be found on the Approved Operator list. Forget the meet and greet horror stories, you can book with absolute confidence when using APH. Here’s an example of how the cost of meet and greet parking compares with Gatwick’s on-airport short-stay options. Heading on holiday from Gatwick Airport should be a time of excitement, but for many it’s tempered by the prospect of negotiating congested rush-hour roads and motorways. That’s why many savvy travellers are choosing to arrive the day before their flight by booking a Gatwick hotel and parking package. With the notoriously busy M25 and M23 likely to play a significant role in most journeys to Gatwick Airport, the odds of avoiding delays aren’t stacked in the travellers' favour. But, booking Gatwick hotels with parking can go a long way to redressing the balance. Don’t think it’s just an expensive luxury, either. For example, booking hotel accommodation with the 4-star Crowne Plaza combined with award-winning parking provided by APH Gatwick will typically cost little more than parking alone. A wise investment to lower the stress levels on departure day. There really is a hotel and parking package for everyone, with budget to luxury accommodation available at the likes ofThe Best Western Gatwick Skylane Hotel, to the luxurious Sandman Signature London Gatwick Hotel. All these can be paired with safe, security-protected airport parking provided by facilities such as APH Gatwick Park & Ride and I Love Meet & Greet. Find out more about how booking a Gatwick hotel and parking package can bring so much more to your trip than a great night’s sleep. Thinking about booking airport parking at Gatwick for the first time, or perhaps you’re looking at moving away from pricey on-airport services? Take a look at these videos to see what the likes of APH Car Park, Gatwick Park & Ride has to offer for your trip from the North or South Terminal. We asked our customers why they use APH Gatwick above other services on offer. Here’s what they told us. Use our clear and easy-to-read directions here to make sure you arrive at the car park in plenty of time.